Take a life-changing journey with Coach Michelle Raz to discover your life’s passion and career aspirations in this 4 session interactive webinar course and receive a group coaching session as well! ► Pursue your educational or career dream in a step-by-step, interactive process . TAKE ACTION – FIND YOUR PASSION IN LIFE TODAY! Session 1 – Career development and earlier career dreams and interests. Session 2 – Identify your skills, accomplishments and aptitudes. Session 3: How your personality traits, work and leisure values factor into career choice. Session 4: Identify your challenges and possibilities to overcome them. Sign up for a coaching session. 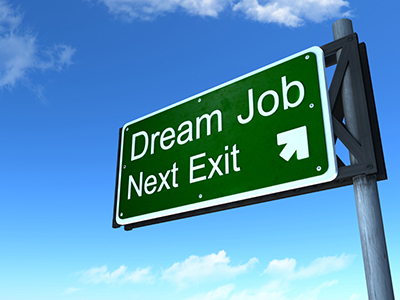 TAKE THE FIRST STEP – YOUR DREAM CAREER IS WAITING! What is Career Exploration Webinar Course about? This career exploration webinar course concentrates on looking into one’s strength, interests, personality, aptitude and creating strategies to overcome any obstacles related to executive functioning deficits that may keep one from pursuing their dreams in a particular career. Is this class a career coaching class? This course will help you identify your passionate career path through an interactive program that incorporates class work in a workshop setting and career coaching as well. How can this class help me? If you are struggling with deciding what career is best for you or how to incorporate your best strengths into a career, this will help you to reach your own potential in a given career. Who is this class geared toward? This is course is best for a college student or recent graduate. High school students who are looking at which major to declare will find this beneficial as well. What types of things will participants be working on? What is expected of the participant in the class? Is there study work or homework for the participant in the class away from the webinar? There will be a point during course that you will be asked to research areas that you have identified as career interests. What age group is this class geared toward? Participants need to be 17 years or older. Is this class for graduating seniors in high school or younger? Is this class for students in college? Yes, this is an excellent course to identify your strengths, interests and pathway to your dream career. Or make sure you are on the right track and what steps to take next. What about adults taking this class who are in the work place? This would be a good course for adults who are feeling that they may need a change of career to redefine themselves or find a new passion that better aligns with their interests, skills and lifestyle. We will be offering a class geared towards this type of client in the near future. No, this course is designed for the client. If parents have questions, please contact the instructor after the client has signed appropriate release of information documents. How many self-study hours each week? Up to 2 hours depending on the week of research. .
4 hours while in sessions, plus a 30 minute private coaching session available within a 2 week window after the webinar course is done. 4 one hour in class sessions plus one 30 minute group coaching session. What is the cost of this class? Contact Denise von Pressentin at Edge Foundation 206.632.9497. THE ONE COURSE THAT COULD CHANGE YOUR LIFE! Questions about this webinar? Contact Denise von Pressentin at Edge Foundation 206.632.9497. Want to learn more about Edge Foundation and coaching, check here at https://www.edgefoundation.org.